It's amazing that in mid July only now is there a break in the rain. For once the weekend was dry and getting warmer, so out in the garden and time to take on a couple of the projects. 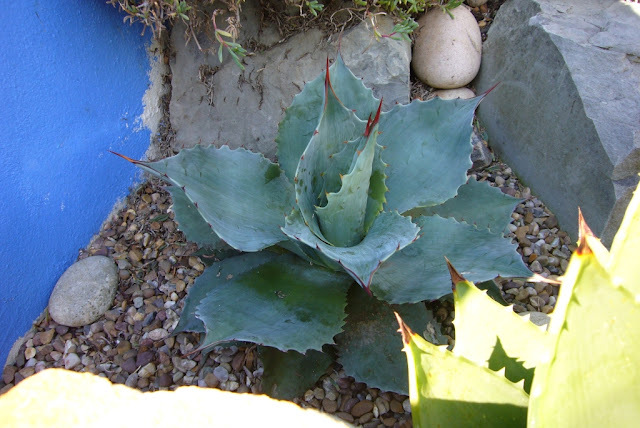 First up the trio of agave montanas. 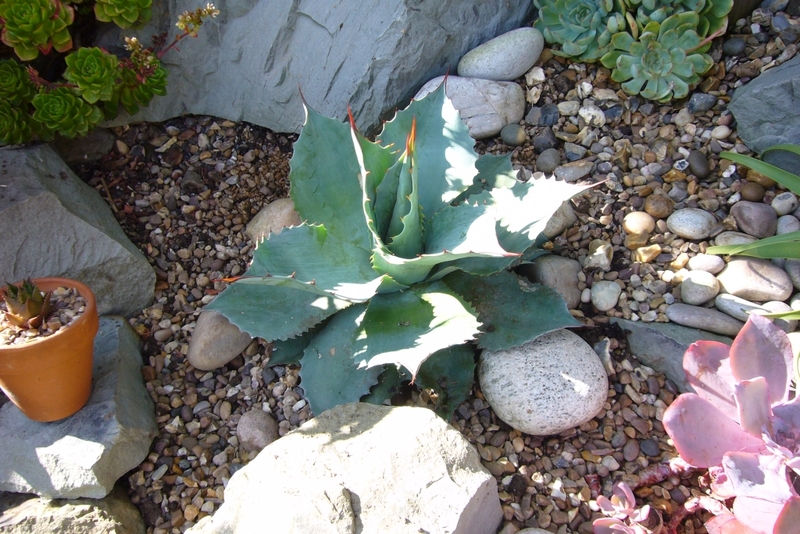 A very wet tolerant agave they have thrived in the main rockery and are starting to grow into each other. Not sure what the thought process was here, maybe just that there were three plants that needed to be planted. In a couple of years, these will be a tangle of spikes. So the decision was made to remove the middle one and allow space for the others to grow. It will take a bit of getting used to, and the euphorbia is now going to have to go, but it will fill out which is the idea. The central plant has gone in the front garden where it has lots of space. One down and so far relatively unscathed. 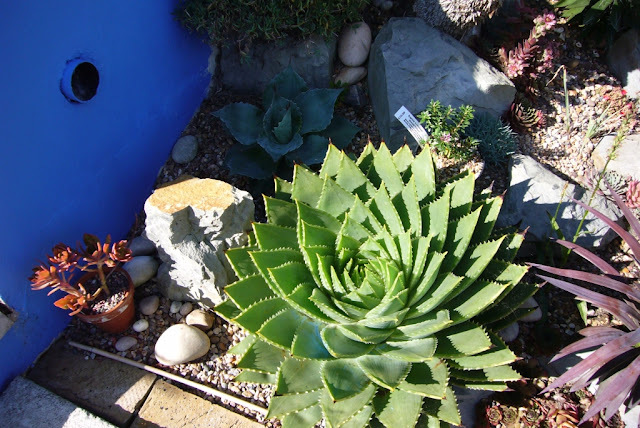 Next up the problem of the rapidly growing agave ovatifolia and the aloe polyphylla. The aloe has grown so much is is starting to push the rock over. 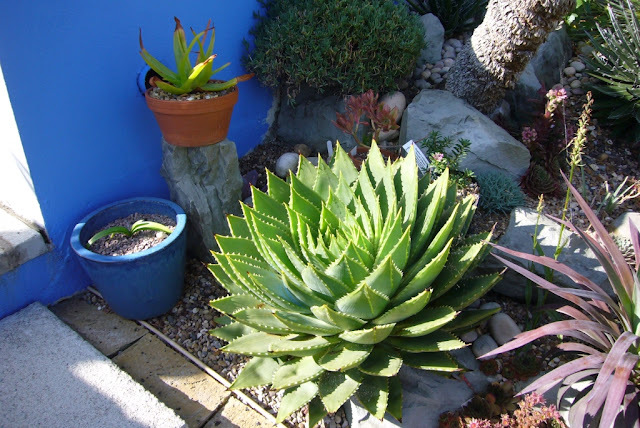 The agave is being overgrown by the ice plant and is growing into the aloe. It is also such a good blue, it needs to go somewhere more visible. 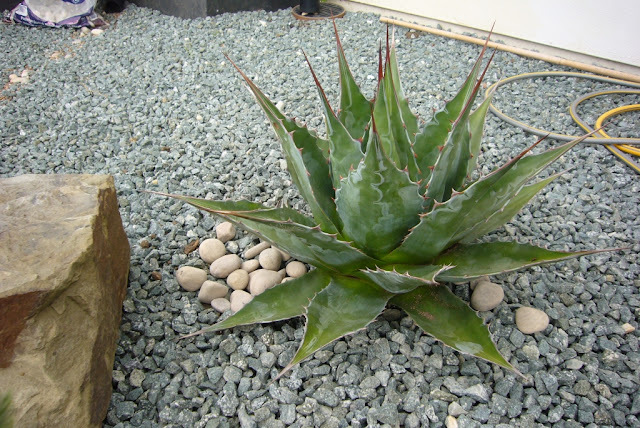 It came out surprisingly easily, one of the advantages of pure gravel. There were a few discussions about the best new home; lots of trial positioning and thinking what else may have to be moved in the future. In the end we opted for the bend in rockery, just below the smallest agave montana. 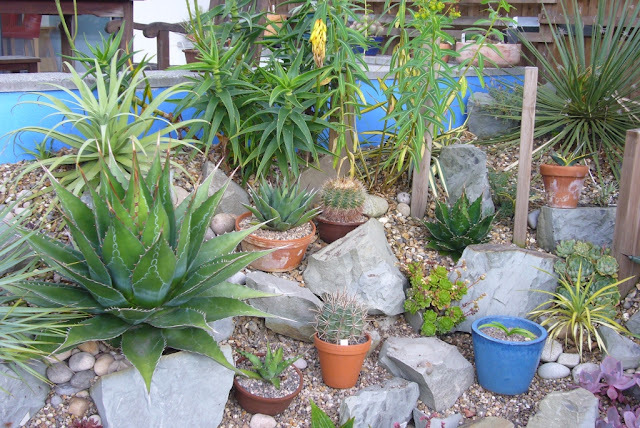 There is plenty of space for it to grow and the echeverias can be moved at any point should it be needed. 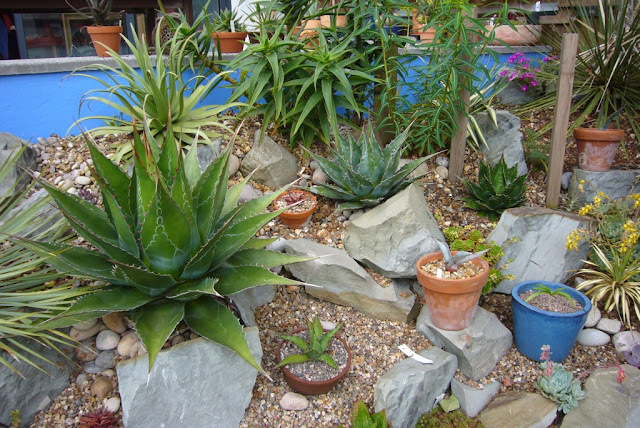 The aloe polyphilla now has lots of space and the rock has been moved back as well. Now we just need the warm weather to continue so we can get out and enjoy it. 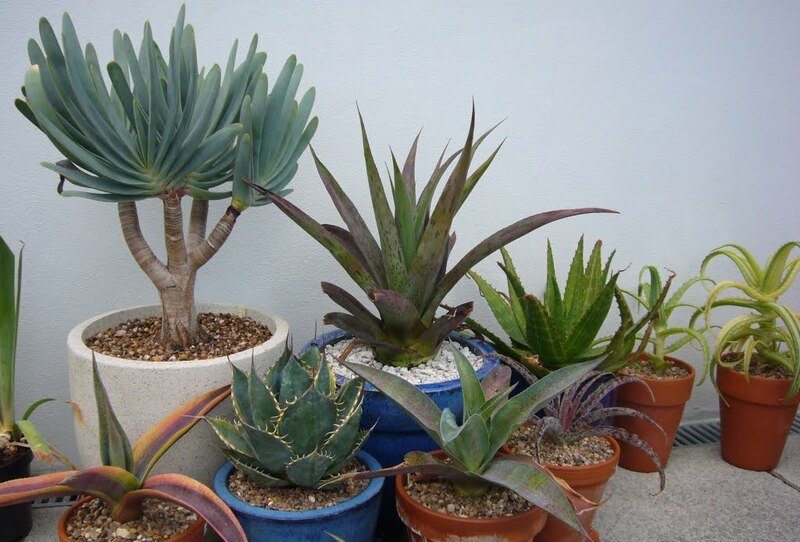 Your plants look great--hard to believe you've been getting a lot of rain. I know,and it is growing at an alarming rate. I think they love it when they get rain and it is warm, I hear people saying their plants shut down in summer as it is too hot, not a problem we are having here this year.